There’s more to Pomona than just the speedway. It’s a thriving city that feels like a genuine oasis. You don’t have to go far to find a great car wash in Pomona. In fact, you don’t have to go anywhere at all. 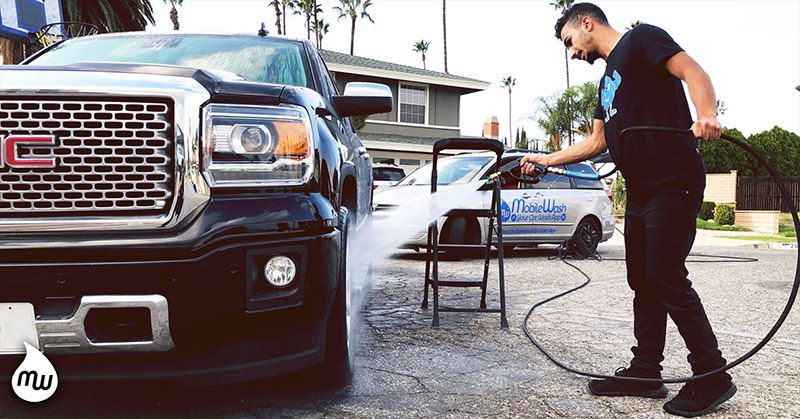 Our Mobilewash in Pomona brings the car wash to you, wherever you are in Pomona and the surrounding area. In this blog, we’ll go over what our Mobile Wash service has to offer you. We’ll also touch on some special features that you can only get with our service. You have your life to live. Between work, family, hobbies, and your social life, your time is a precious resource. Making sure your car is clean is important, but it’s one area in your life where if you can save time, you’d want to. 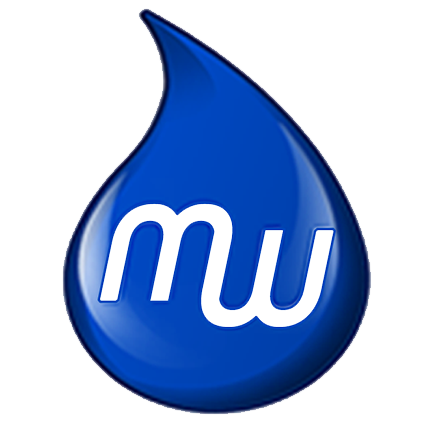 We designed our service to make it easier for anyone to get a car wash quickly. If you want to get a car wash, you have to drive somewhere, possibly wait in line, definitely wait for them to wash and dry the car, and then get back on with your day. That’s all time you could spend doing… well, literally anything else. Here at Mobile Wash, we give you that time back. We designed everything about our MobileWash service to be as simple as possible. To get a car wash, all you have to do is download the app. Then, open it, enter your wash location, select your package and addons and choose Wash Now or Wash Later. They’ll come to your location in a matter of minutes. That’s it. The strength of this is that it puts you in control. You don’t have to go somewhere for someone to wash your car. Instead, they come to you. Now, instead of planning your entire day around washing your car, you can simply go on with your day while your car is being washed. This can save you time as well as peace of mind. Southern California car wash culture is amazing. The weather out here is absolutely perfect for all kinds of cars. You can see more incredible vehicles just out on the road in southern California than you can anywhere else. That being said, if you step outside, you might also see plenty of vehicles with a lot of grime, dirt and more on them. It’s not always easy to schedule in a car wash. We’ve found that repeat users of MobileWash tend to get their cars washed more often since it’s so easy. If you’re one of those people who see their car and think “I should get my car washed more often” but don’t do anything about it, our service is for you. When you use our app to bring a car washer to your vehicle, you’re getting a top quality car wash. Our service is built to be more than just convenient. There’s no point in having a service like ours if all it does is give customers mediocre car washes. Our car washers are pros. Many of them have extensive experience. In fact, we have the largest network in America of professional detailers. Moreover, these are insured pro detailers. So, you can rest assured that when one of our detailers comes to your location, they have been doing it for a long time. Better still, each of them are backed by a dedicated quality assurance team. Many of us have woken up on a Sunday morning with “get a car wash” on our day’s to-do list. Then, you get up, maybe you exercise, go to brunch, come home… and you’re exhausted. There’s plenty of things to do with your family and friends. The sun goes down, it’s time for dinner, you figure: “well, the car washes are probably closed. I’ll try again tomorrow.” That doesn’t happen with MobileWash. We’re never closed. You can get a car wash with our app 365 during daylight hours. You can get your car washed on holidays, busy weekends, and more. With MobileWash, you can skip the lines entirely. Instead of going somewhere and waiting for a car wash, the car wash can come to you. On that note, remember that you don’t have to get our car wash at your home. You can have MobileWash detailers come to your place of work. While you’re doing your job, they can be out in the parking lot washing your car. You can do the same while you’re at the gym, or at a long lunch, or anything else. You can organically fold a car wash into your life. Best of all, you don’t have to wait. In the time it took to read this, you could’ve scheduled a car wash. All you have to do is download our app here.